Dynamicaps are lush, smooth, and warm. This cap exhibits a sweetness not found in any other metalized Polypropylene capacitor. Leads are Silver plated Copper. Tolerance is 20%. 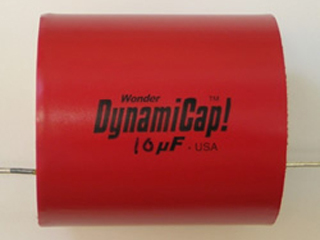 *All of our Dynamicap "Electronics" capacitors come with the optional (1$) epoxy ends included in the price.